They forgot Shadow's birthday. Aww,don't worry Shadow.I didn't forget yours.. Wallpaper and background images in the Shadow The Hedgehog club tagged: shadow hedgehog. 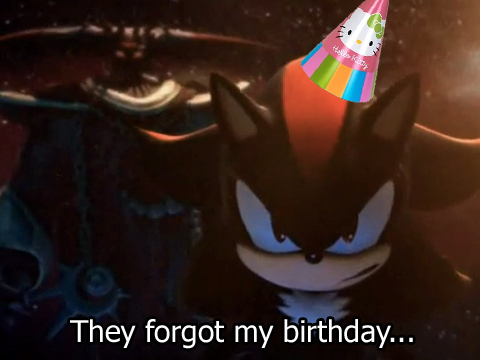 Lol don't worry shadow I didn't forget your birthday!! !